Should Ubisoft bring back Prince of Persia? If anything, 1989 will be remembered for the release of one game. This was none other than Prince of Persia, a game which while not becoming an instant hit ended up being ported to many gaming platforms, bringing fame and fortune to its creator Jordan Mechner. One thing which no doubt stood out in Prince of Persia was its wonderful animation, which made the prince’s acrobatic jumps and his swordfights with enemies more convincing. Seeing the prince being cut in half by a trap was all the more dramatic thanks to the game’s excellent rotoscoped animations, no doubt. Of course, Prince of Persia wasn’t perfect by any means, and things like the 60 minute time limit to complete the game and the 80’s sexist plot of having to rescue a helpless princess from the hands of an evil enemy means modern audiences are unlikely to warm up to Jordan Mechner’s original game anytime soon. Prince of Persia got a decent sequel titled The Shadow and the Flame in 1993, while the later Prince of Persia 3D is best forgotten even if it did bring some interesting gameplay innovations to the table. And after the Prince’s ill-fated 3D incarnation, fans of the series had to wait another four years before Ubisoft would resurrect the franchise in 2003 with Prince of Persia: The Sands of Time. The wait was surely worth it, though, as The Sands of Time not only featured cutting-edge graphics for the time, but also some wonderful settings and characters too. 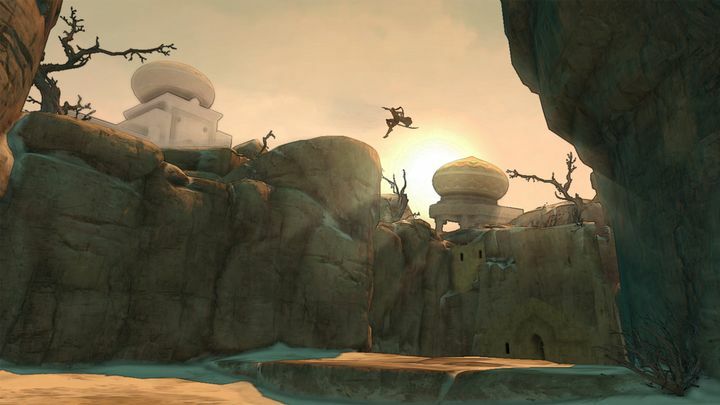 Actually, the Middle Eastern locations looked spectacular and were a joy to play through, while climbing was also one of the most interesting activities in the game. And let’s not forget the Dagger of Time, an in-game item which let you rewind time, preventing you from falling into a spike trap after taking a bad step – surely one of the most original gameplay mechanics in a game to date. Also, the prince was a charming character, while his sidekick Farah thankfully was not a damsel in distress to be rescued but could fight as hard as the prince and support him during the game. The great Prince of Persia: The Sands of Time is still the best game in the series. After the success of Sands of Time, French powerhouse Ubisoft spent the rest of the decade putting out Prince of Persia sequels beginning with 2004’s Warrior Within, which was an edgier game than its predecessor. In this game the prince showed his dark side, cursing and taunting his enemies while slicing and dicing them in combat, this being quite a bit more violent than in the earlier game. The latter Prince of Persia: The Two Thrones was also another very good action and adventure game, featuring new in-game activities like the chariot races. In between releasing two new instalments for the Nintendo DS (Battles of Prince of Persia and The Fallen King), Ubisoft tried something new, and put out a reboot of the series in 2008. This game was more colourful than earlier entries (and did have a Final Fantasy vibe about it), while the prince got to hang out with another strong, independent sidekick named Elika, making his journey even more interesting. 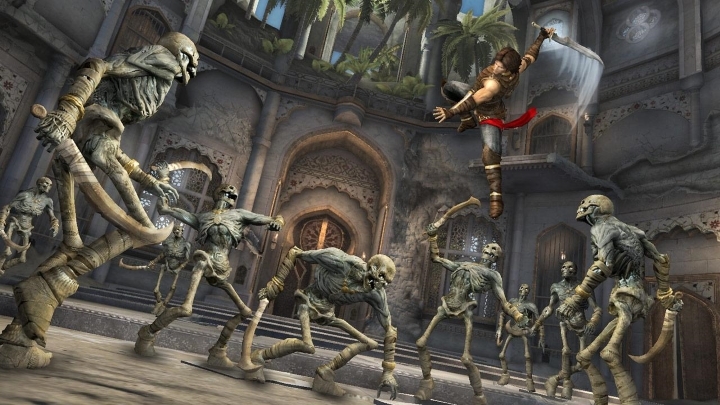 Sadly, 2008’s Prince of Persia wasn’t a success, and gamers had to wait two years before getting to play another major game in the franchise. This was 2010’s The Forgotten Sands, a game which debuted around the same time that Jerry Bruckheimer’s Prince of Persia movie was doing the rounds in theatres. The Forgotten Sands was a decent entry in the series, but did not live up to the great Prince of Persia: The Sands of Time – it’s likely not a favourite of Prince of Persia fans. Meanwhile, the Prince of Persia movie also went down as a failure despite being one of the top-grossing video game movies of all time. Prince of Persia: The Forgotten Sands was the last major Prince of Persia game from Ubisoft. Will we see another one in the future? Actually, Desilets’ concept for Prince of Persia mutated into the first Assassin’s Creed game, an epic action and adventure game which turned out to be a smash hit when it hit shelves in 2007. Assassin’s Creed was quickly followed by the bigger and better Assassin’s Creed II, and by another equally robust sequel titled Assassin’s Creed Brotherhood in 2010. By this time, Prince of Persia: The Forgotten Sands was hitting shelves too, and it’s likely that its not so great sales convinced Ubisoft it did not need Prince of Persia for the time being. After all, Assassin’s Creed had become a global phenomenon by then, selling millions of copies and implanting itself into the psyche of gamers worldwide (and apparently Ubisoft also decided it did not need game designer Desilets anymore, as the man would later leave the company by the back door…). 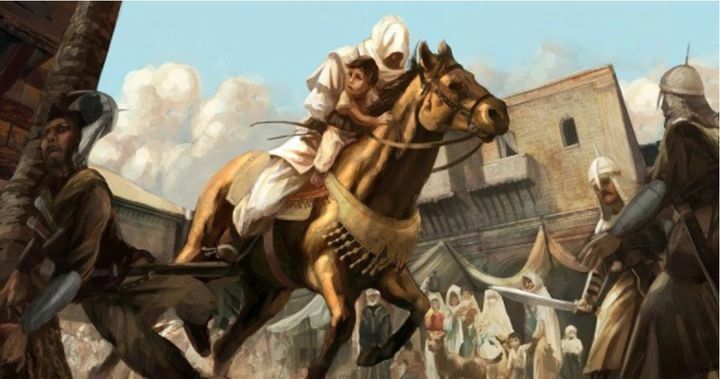 So, did Assassin’s Creed’s success spell the end for the Prince of Persia series? It would be easy to reach the conclusion that Prince of Persia is dead and buried, with a mobile edition of 1993’s The Shadow and the Flame being Ubisoft’s last Prince of Persia game. Prince of Persia: Assassins was meant to be another entry in the Prince of Persia series, but became the first Assassin’s Creed game instead. However, there was a glimmer of hope in early 2013, as then Ubisoft CEO Yannis Mallat told IGN that Ubisoft still had the franchise in mind, and that it could come back in the future. “Prince of Persia is part of Ubisoft’s portfolio. As a matter of fact, we sometimes iterate on franchises and sometimes we give them time to breathe and time to grow, or time to rest. Prince of Persia is as important as any other franchise for Ubisoft. As soon as we have something to show, we will”, Mallat told IGN. However, Mallat also said that Prince of Persia “is being paused”, and did not specify a exact date for the franchise’s return. But then again, why would Ubisoft show any haste in bringing back Prince of Persia, when Assassin’s Creed and its other franchises like Far Cry are doing so well? Actually, the latest entries in both franchises did extremely well this year, with Far Cry 5 being Ubisoft’s second best launch ever, while Assassin’s Creed Odyssey was one of the best-selling games in the series during its launch window too. Despite this, though, some may be trying to make another Prince of Persia game a reality, and are working behind the scenes so that fans of the franchise might get to play as the Prince once more in the future. Actually, GameSpot reported earlier this year that Jordan Mechner (the creator of the series) himself is trying to make another Prince of Persia game a reality. He said so in a response to a tweet by a well-known TV host, who was wondering whether the franchise was still around (see below). There is hope that Prince of Persia might return someday then, and it’s likely many people (me included) would love to play another entry in the series someday. Here’s hoping that Ubisoft sees fit to bring the Prince back at some point in the future, but if that’s not the case at least we’ll always have the classic Prince of Persia games to enjoy.